Cinematically, the scene was perfect, and Brett Nichols was made for the part of pedigreed cowboy. At his disposal was a ranch, a quaint barn, and sunset for days. His evening was typically rustic, promising a steak dinner with all of the trimmings, a round of socializing with his Rodeo Club, some fundraising activity here and there. The plan was for a casual, even organizational, evening. The barn was aglow with endless summer and warm conversation. Everything was easy. And then in walked Ashlee Kuhlman. Pretty in her cotton chemise, and tawny from her tresses to her boots, the girl was pure cornsilk. A little splay of sunlight, a quick gaze from beneath thick lashed eyes… Brett was in over his head. With one hand on the dinner he was cooking, and both eyes riveted to Ashlee, it’s safe to assume the steak in question made it well-past past well-done. The only problem: this wasn’t cinema, however much it felt that way. Ashlee was taken, Brett’s subtle advances, averted. There was no dancing to be had, no stealing away under twilight to walk the property. There was no heady first kiss. Ashlee and Brett would eat their steaks, make their rounds, and exit the ranch scene much as they had entered it. The evening was flush with beauty, but it couldn’t accommodate romance. Ok, ok. Seriously? So the request was made in good fun– after all, the two had yet to exchange anything beyond a quick glimpse and a hello. But theirs is a story of gradual release, comprised of little and fateful meetings, and declarations that eventually come true. The stars kept complying; all that remained was for the couple to acknowledge their good luck in love. And acknowledge it they did, little more than a year later. This scene had Ashlee cheerleading on the sidelines of a homecoming game, and Brett managing a float for the Agricultural Club. Both easily remembered the other, but Ashlee wasn’t yet privy to that matrimonial request. During a sideline exchange, Brett enlightened her to this detail; she found herself disarmed and charmed. Dinner, however, was suggested in lieu of immediate calling of caterers and booking of venues, &c.
Dinner gave way to dating, and dating yielded a rich and enduring courtship. By 2010, Ashlee and Brett were university graduates, budding professionals, and deeply in love with one another. Brett knew it was time to make good on his initial, albeit lighthearted, request. In September, he asked Ashlee’s father sincerely if he could take her as his own, his bride. Ashlee’s father acquiesced, and Brett wasted no further time. 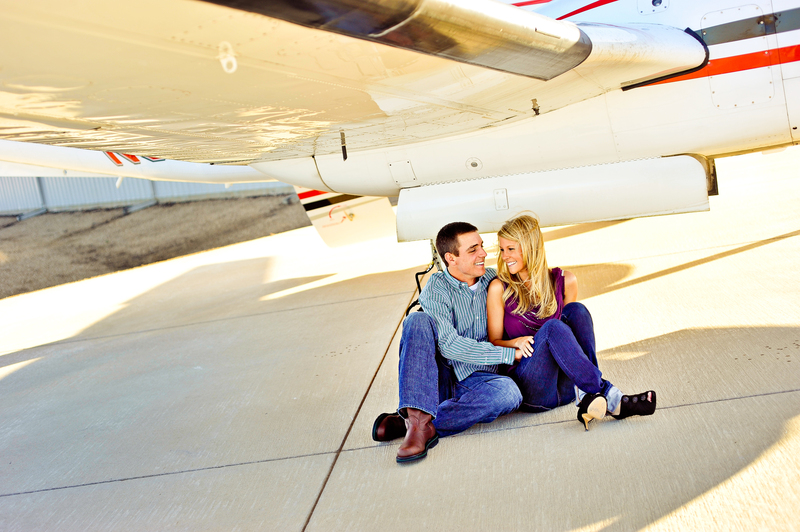 Under the guise of work, he flew to Dallas, where he met Ashlee’s sister for a little ring-and-bling guidance. The two glided into a typically cinematic scene, one worthy of Truman Capote’s pen, Holly Golightly’s longing, and the most exquisite display-case gems. The little blue-green box (that even starlets covet) now had Ashlee’s name on it, and a truly remarkable jewel inside it. 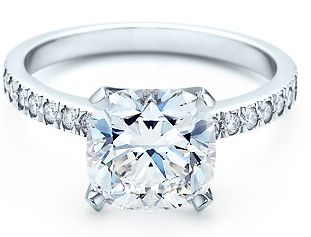 The ring is an exciting synthesis of tradition and unadulterated newness, a little piece of cushion-cut art. It is also faceted exquisitely to resemble the Tiffany Diamond (weighing in at a dainty 128.54 carats). The elegance, cleanliness, and style of the ring is perfect reflection of Ashlee’s own; the slow heating simplicity, spirit, and fire of it is as well. Suffice it to say that Brett left that day with a chicly modern ring that Ashlee would love, adore, and fawn over at first sight. Here’s where the story becomes truly cinematic. Take a deep breath; we know. 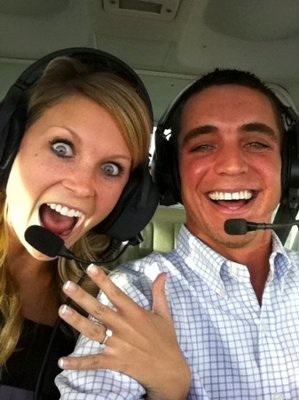 A mid-flight proposal. OOOOK. … And, ecstatic, Ashlee answered affirmatively. The couple shared a few private and blissed-out minutes together before landing, and were greeted by friends and family once they made their way to the restaurant. Over steaks and wine, the loved ones commiserated, passed around well-wishes, and Ashlee’s hand for dazzling observation. Here, engaged and in love for real, the couple was surely reminded of that first, fateful impromptu steak dinner. Brett’s charming request had been made sincere, and had been accepted in utmost style. Soaking up loving gazes from across the table, the two perhaps knew this moment had been happening all along, from the very beginning—and still, wonderfully, couldn’t believe it did. The couple will wed June 25, 2011 at Westminster Presbyterian Church in Amarillo. They will cap off what has been an altogether lofty and glamorous affair with a reception, fittingly, at Tradewind airplane hangar. By all accounts, their wedding festivities promise to be splashy, glamorous, and woven together with clean and simple adoration. The sleek modernity and sweet charm of the couple themselves promises to manifest itself in every beautifully and thoughtfully selected element. We know that hearts will be strung in the skies that night, and we can’t wait to share every last, compelling detail of it. 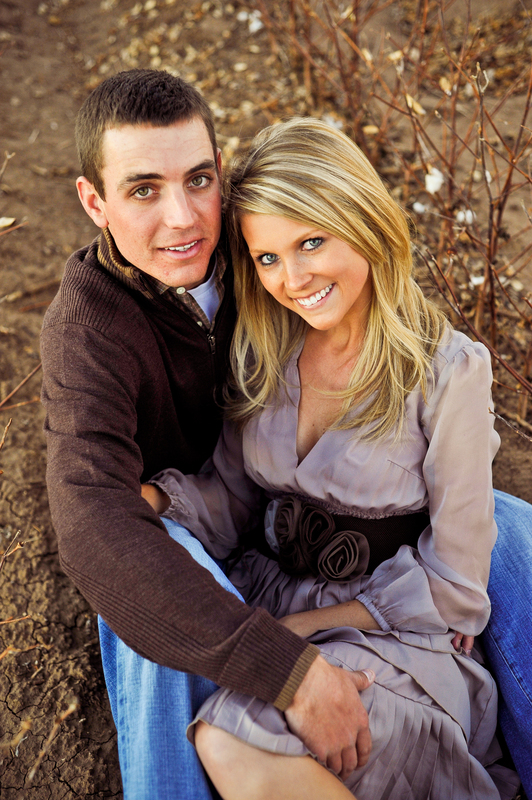 Congratulations, Ashlee and Brett, on your beautiful love, and what is soon-to-be your gorgeous wedding! You dazzle us. 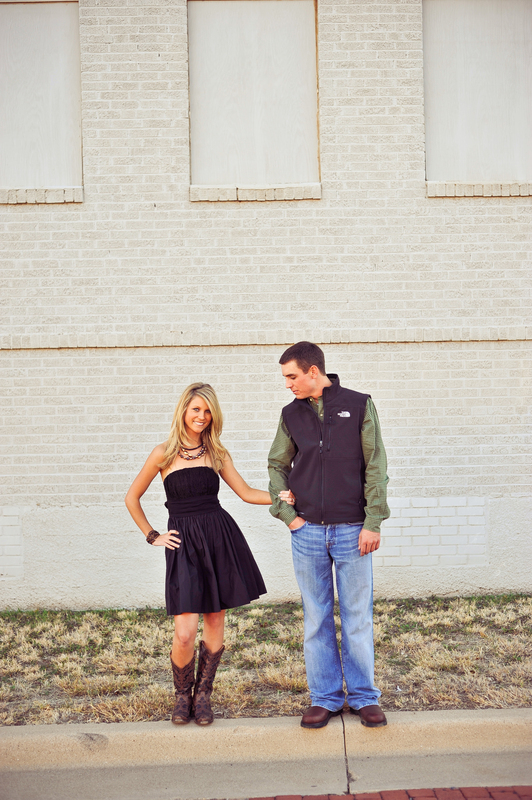 *P.S.~ Be sure and check out Ashlee & Brett’s (fittingly glamorous) write-up in DMagazine (!!!) & peruse their wedding website. This entry was posted in Uncategorized on May 20, 2011 by pariedesigns. Beautifully written, McKenzie! We are honored for you to be covering the details of our wedding! 🙂 LOVE it!!! !